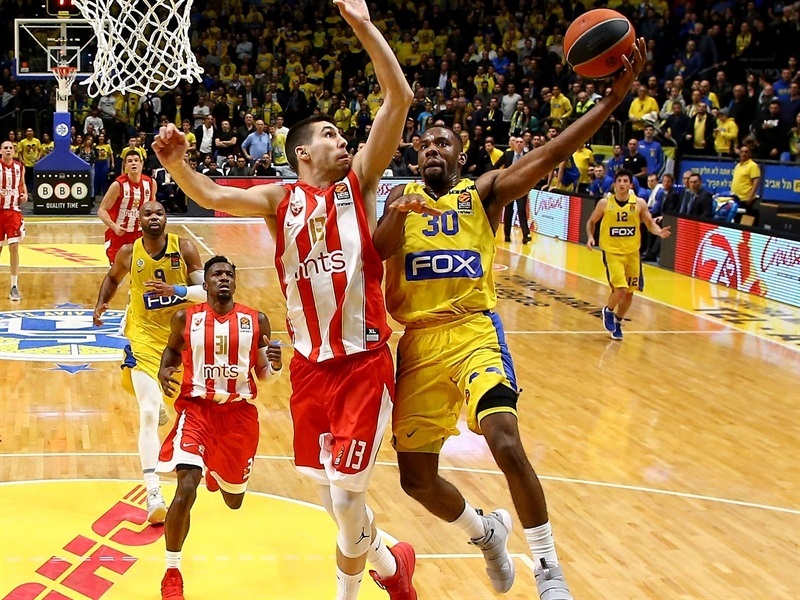 Maccabi FOX Tel Aviv protected its place in the playoff zone with an 89-75 victory over Crvena Zvezda mts Belgrade on Thursday at Menora Mivtachim Arena. The hosts bounced back from a whopping in Greece by taking care of the Serbian champs to improve to 10-9 and keep eighth place. Zvezda lost its third straight game to fall to 7-12. 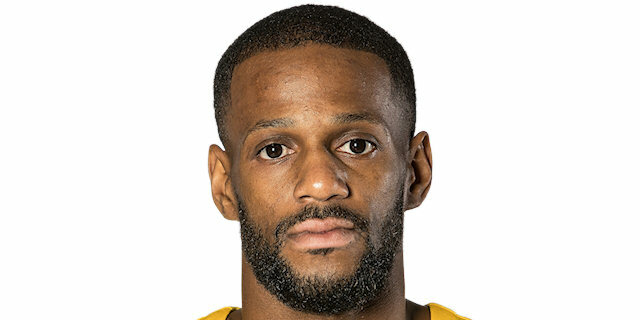 Pierre Jackson scored 17 of his 22 points in the second half to lead the winners, who finished the first half on a 9-0 tear for a 47-29 halftime advantage. The margin reached the 20s on a DeShaun Thomas triple to open the second half. 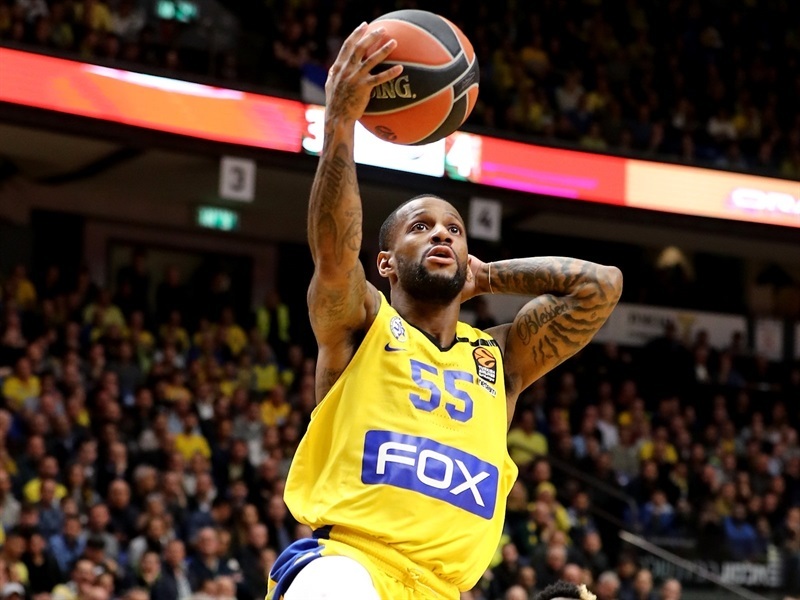 Zvezda rallied to get within 7 in the third quarter, but Jackson took charge and Maccabi closed out the win long before the final buzzer. 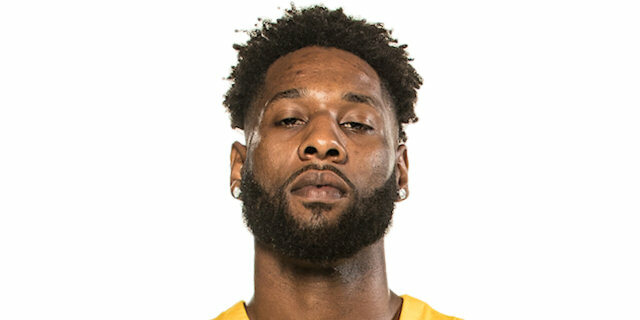 Alex Tyus added 15 points and 7 rebounds, DeAndre Kane scored a season-high 14 and Thomas and Norris Cole scored 10 points apiece. 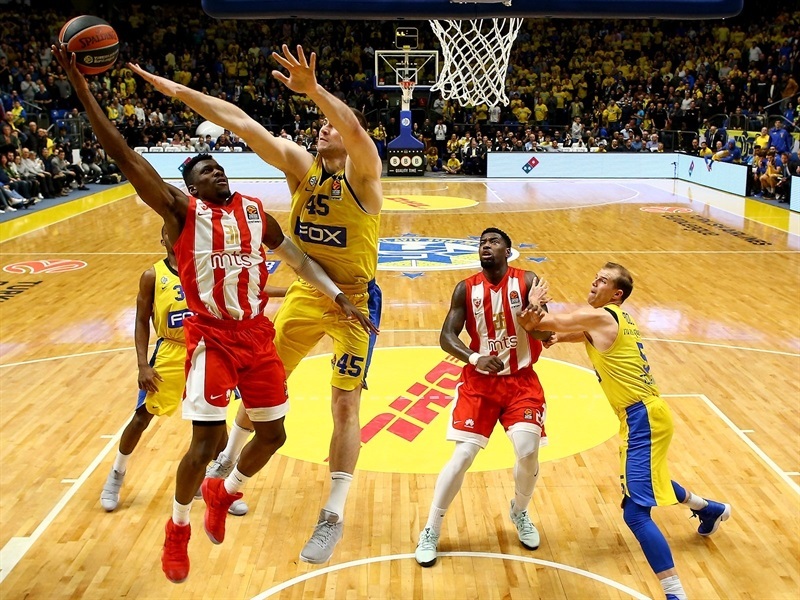 Milko Bjelica paced Zvezda with 13 points, Taylor Rochestie tallied 10 points and 8 assists against his former team and Mathias Lessort scored 10 in defeat. 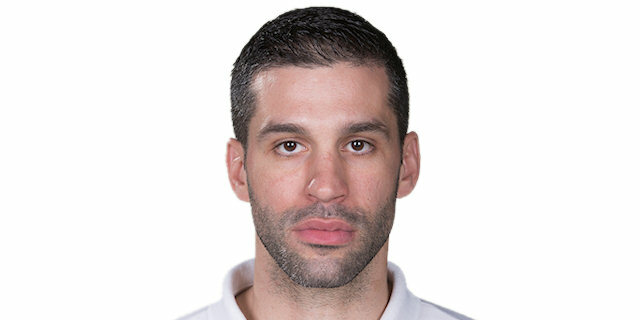 The visitors scored first through Lessort inside, but Maccabi quickly regrouped as Jackson struck from downtown, Art Parakhouski scored twice inside and Michael Roll converted a three-point play on the break and hit a mid-range jumper in transition for a 12-5 lead, after which Zvezda called timeout. 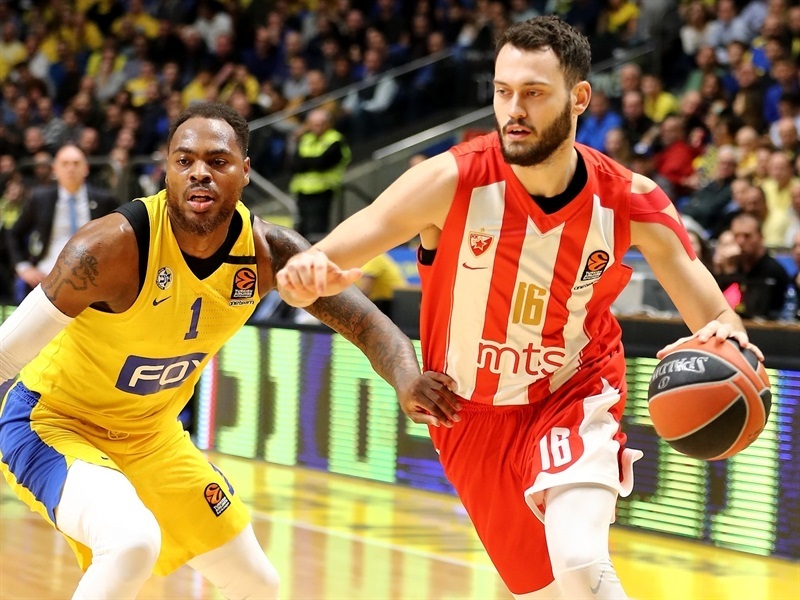 Bjelica pushed the Zvezda attack and Dylan Ennis netted free throws and a three-pointer to even the score at 14-14. Tyus put Maccabi back in front and Cole added free throws. Tyus’s alley-oop slam gave the hosts a 23-16 lead after 10 minutes. John DiBartolomeo sank a triple to give Maccabi a 10-point lead. 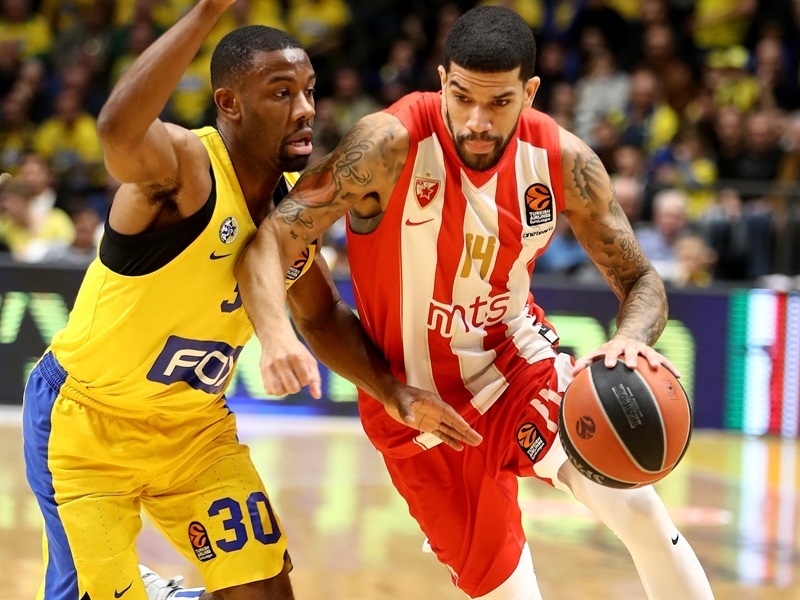 James Feldeine kept Zvezda in the hunt, but limped off after making free throws less than two minutes into the second quarter. 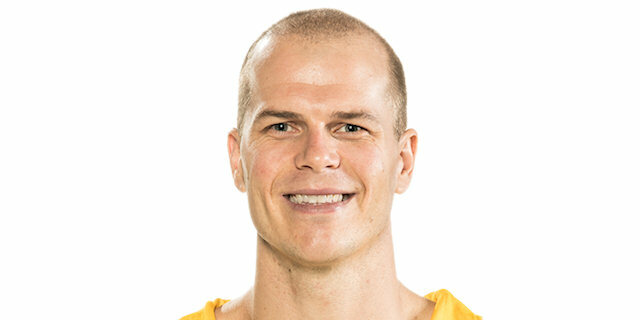 Ennis netted a mid-range jumper to bring Zvezda within 6, but that was as close as the visitors got. Tyus took over with a pair of buckets inside and a soaring rejection as Maccabi rebuilt a double-digit lead, 38-27. 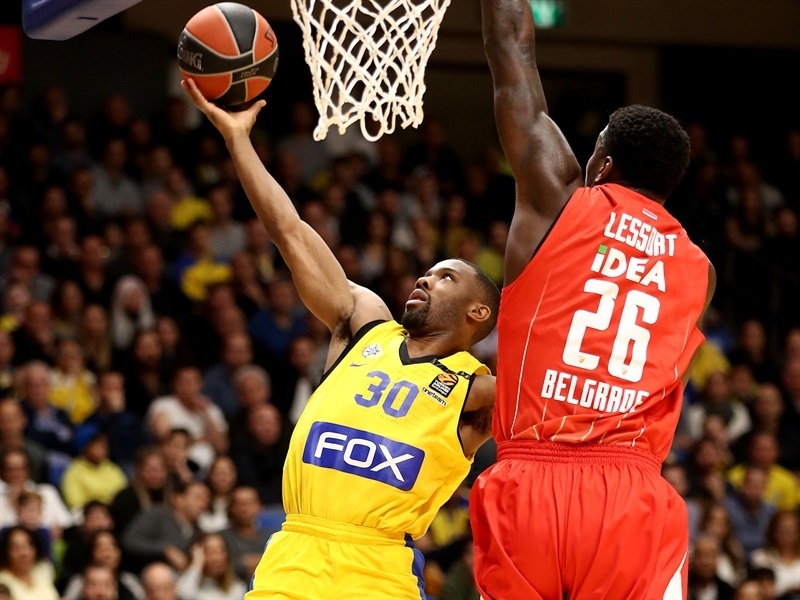 Thomas added a baby-hook and Kane made a circus shot three-point play as Maccabi finished the half on a 9-0 run to lead 47-29 at the break. 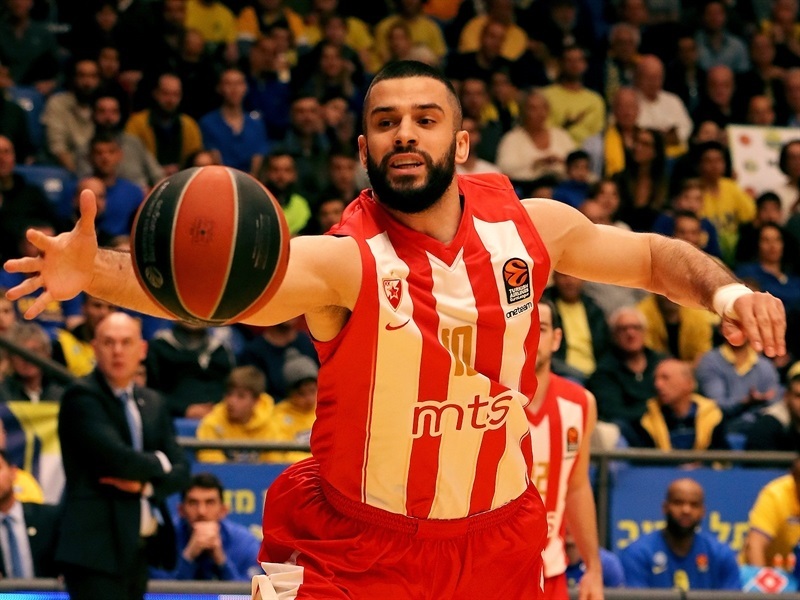 Thomas opened the second half with a triple to take the lead into the 20s, but Zvezda responded with a pair of baskets from Bjelica to spark a 0-10 run that made it 50-39. 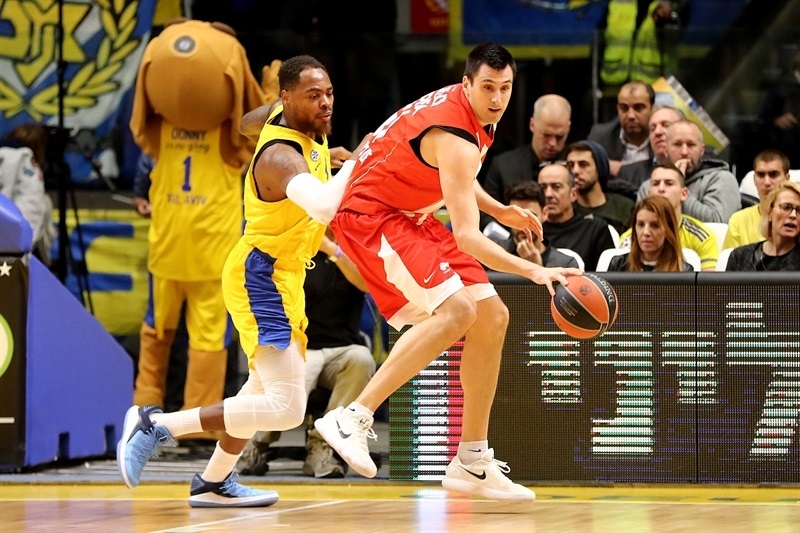 Thomas buried a second three before Rochestie scored his first two baskets for Zvezda. Bjelica got the visitors within 53-45 midway through the third quarter. Dejan Davidovac added a triple to trim the deficit to 7. However a three by DiBartolomeo and a pretty drive by Jackson left Maccabi up 64-52 through three quarters. Jackson drained a three to begin the fourth quarter. After Lessort dunked, Jackson continued his takeover with a basket-plus-foul. 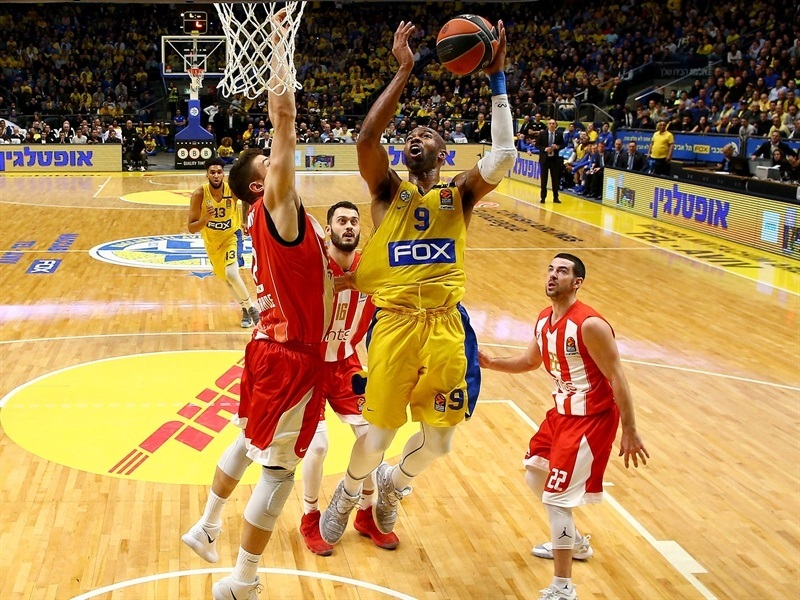 The teams started to trade buckets, though Zvezda was unable to gain any traction and Tyus put Maccabi ahead 76-60. 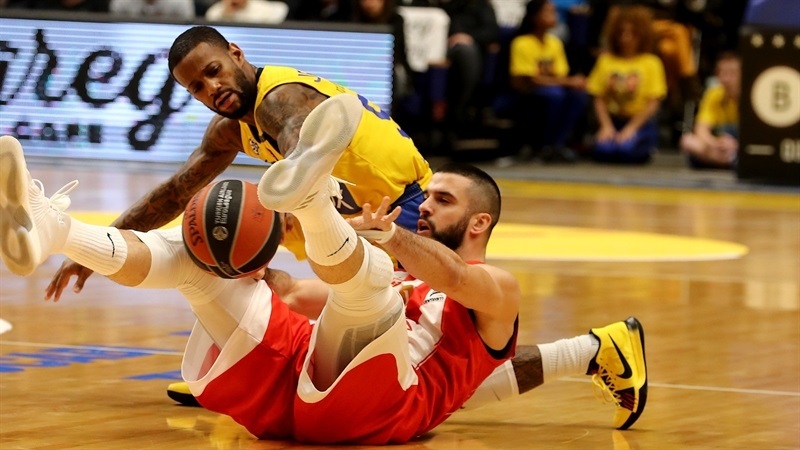 Zvezda made every effort to come back, but was unable to stop the Maccabi attack and the home team closed out the victory down the stretch. "Many times in this marathon it is most important to win the games and when you lose, like we lost the game against Olympiacos by 30, it is most important to come back, to recover, to keep thinking positive and to continue. That’s exactly what we did. This league is very tough, very competitive and we have to go game by game. We won the game through defense, especially in the first half. 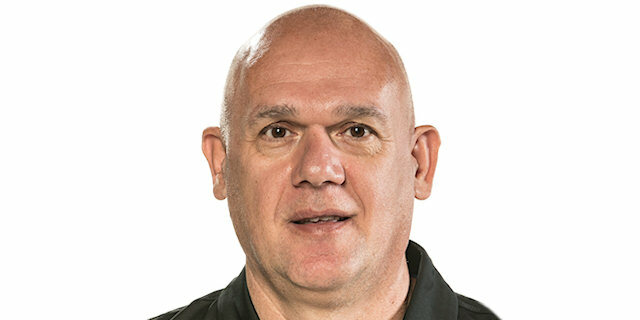 Except for some of the third quarter, everything else was good." "We didn’t control their transition and fast breaks in the first half, and also we didn’t control their offensive rebounds. Whenever we had a good result in the first half, we let down for a series, like I said from transition, especially. In the second half we showed some character. That’s good, but it is not enough. So the rhythm is like this. We must go on and we will see. All the best to Maccabi and Coach Neven." "It was a tough loss to Olympiacos; they’re a great team, we fought but we came out short. Tonight we came out and fought hard in front of our fans . We really wanted to get the win and protect our place in the standings And also just to play with pride after getting beat up by 30 points. It’s not good and you feel really bad. Hopefully you play the next day, but for us we had to wait two days, but we came and we showed it, it was a great team victory." "It feels great to get the W, of course they were going to fight , this is how it goes, we were able to answer that and secure the lead. It feels great to get back on the winning track and to try and secure our spot and as long as we fight things will go well." "We had a lot of fight in us tonight and the result showed. Coach kind of explained to us about how important his game was for us and we just wanted to come out here and play hard. As long as we played hard, coach would have been satisfied."